Rick Nash was traded to the Boston Bruins this week. 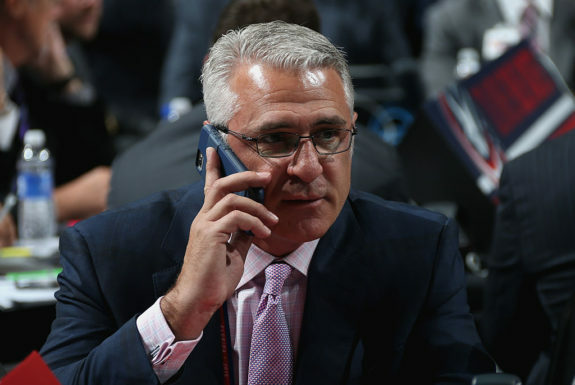 There was hope in Carolina that executive vice-president and GM, Ron Francis, would do whatever he could to bring Nash or someone of his caliber to the Carolina Hurricanes. It has long been held that the team needs a Nash-like forward to get them into the playoffs. Tuesday night, Nash showed the Hurricanes and their fans why. The trade deadline came and went without the Hurricanes trading for Nash or any other veteran, scoring forward. Francis met with the media and said that nothing out there made any sense for the organization at this time. Riding a five-game losing streak did not give Francis any motivation to exchange players and picks like the New York Rangers did in hopes that his team would grab a wild-card spot this postseason. On the other hand, the Bruins are in a more solid position and decided to give away whatever was necessary to boost their chances for a deep playoff run. Nash is having a very good year. The 33-year old can significantly impact the outcome of a game. No, he is not Sidney Crosby but few would argue that he is one of the best veterans in the NHL. He came to the Bruins and within two games brought a return. On Tuesday night, in a home tilt against those same Hurricanes who decided he was too expensive, Nash scored a goal – the 800th point of his career – and made what was undoubtedly one of the best defensive plays of the season. He showed vividly why Francis should have strongly considered paying “whatever” to bring him to the team. One game or a couple of plays don’t on their own make policy decisions for a team. But, if anyone could have, Nash showed why he could have helped the ‘Canes. It’s the kind of play that cannot be quantified with a mindset of cost to the team. Francis is probably right in the long run, that the Hurricanes don’t need to mortgage their future for a player as expensive as Nash in hopes of making the playoffs. But, that play that he made was more than just an NHL Network Top 10 highlight. It showed the kind of presence of mind and determination that is necessary to make the playoffs. Those intangibles do not have a price tag. It’s what has been sorely missing from the Hurricanes in the past couple of weeks. Not only did Rick Nash stymie the Hurricanes on Tuesday night but Riley Nash got them also. With a goal and an assist, the former Hurricane helped the Bruins pull back to within a goal at the end of the first period. For a guy who many “Caniacs” did not appreciate, Nash has been a boost to the Bruins and his 30 points this season are the best of his career. 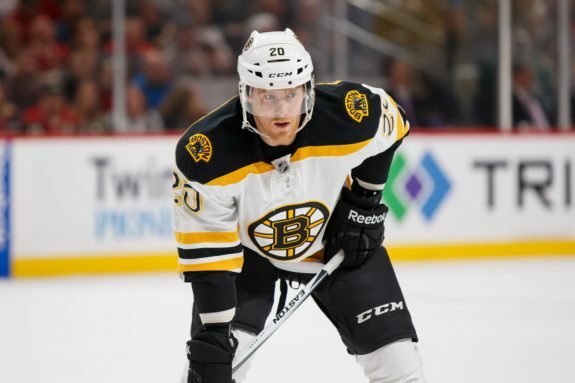 He will be expected to help pick up his play in the absence of the injured Patrice Bergeron. Adam Denhard wrote at stanleycupofchowder.com: “A great Patrice Bergeron impressionist, Sir Riley took over the shutdown/top-center role smoothly, once again.” What a difference a year and a change of scenery can make for a player. Of course, hindsight is 20/20, but it looks now that Finger was right. Opting for the since-departed Jay McClement instead of Nash is perhaps a decision Francis would like to re-think. The Hurricanes are four points behind the Columbus Blue Jackets for a wild-card spot. The Bruins are a solid third place in the Atlantic Division, only one point behind the Toronto Maple Leafs for second place. With 19 games left for the Hurricanes and 21 left for the Bruins, the two teams couldn’t be more divergent. The ‘Canes are clawing and scratching, trying to get to the second wild-card position. The Bruins are gearing up for what they hope will be a deep run. With the likes of Rick Nash on the roster, it may be evident for a long time why the Hurricanes would have loved to have had him.